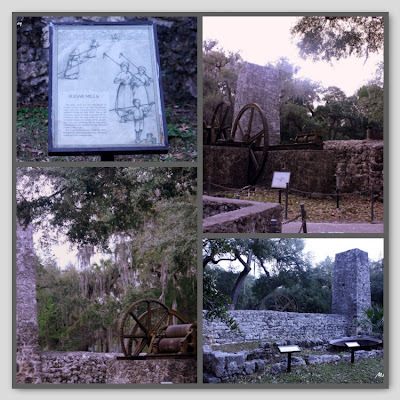 On our recent weekend visit to the Nature Coast, we toured the ruins of the Yulee Sugar Mill found in Homosassa Springs, Florida. Owned by the late David Levy Yulee, Florida's first U.S. Senator, the mill was a major source of sugar supply for the Confederate army during the Civil War. Built in 1851 by 69 slaves, the sugar mill included steam-operated grinding or pressing rollers and large kettles for cooking down the juice squeezed from sugar cane. great historical relics. sugar is manufactured manually not much different the way sugar was produced in Negros.